Russian State Medical University (formerly the 2nd Moscow Institute of Medicine) is one of the oldest Russian medical schools, the most prominent and respectful in the country and abroad. At present University is a very prestigious establishment, which provides the best medical education. Annually about 7000 students from Russia and 600 students from more than 40 foreign countries study at the University. The Russian State Medical University has gained considerable experience in training of foreign students. 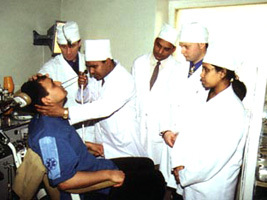 Since 1960 over 2000 specialists from more than 80 countries have been trained there. The diplomas of RSMU are recognized in most foreign states all over the world. During the recent years, the number of foreign students has increased to over 600. The education is carried out in Russian and English languages. The University has the English Language Department where the students study in English during the first 3 years (preclinical studies). For whose foreign students who choose the training in Russian during six years, the University offers the Preparatory courses where they study Russian, biology, chemistry, physics. 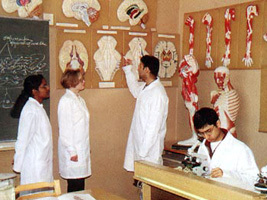 Russian State Medical University has very close link with the practical medicine. The bases of University are 70 specialized clinics, hospitals and other preventive and medical institutions for more than 19700 beds, where the future doctors get extensive probation under the supervision of the most experienced tutors. After graduation from the University over 1000 students are annually trained in the internship, clinical studies and take the postgraduate course in a total of 51 branches of medicine, including 37 medical, 7 biological, 5 chemical and 2 - in the fields of physics, mathematics, automation and computer systems. The University effects postgraduate education in all clinical specialties such as general surgery, urology, cardiology, stomatology, anesthesiology and reanimatology, oncology, dermatovenerology, infections and tropical diseases, obstetrics and gynecology, immunology and allergology, otorhinolaryngology, ophthalmology, pediatrics, radiology and rentgenology, traumatology and orthopedics, neurology and neurosurgery, endocrinology and many others. Doctor’s training is carried out according to a special curriculum and programs taking into account specific career needs in each particular country where a student will practice medicine. The University’s students, postgraduates and interns, working for their academic degrees, are trained and get specializations, improve their knowledge and skills, carry out their dissertations at 115 chairs and 58 scientific-research laboratories of RSMU. The highest level of education in all medical areas and specialties is ensured by best-qualified personnel. Among the staff of the University there are over 40 academicians and corresponding members of the Russian Academy of Sciences, Russian Academy of Medical Sciences and Russian Academy of Natural Sciences, 24 State Prize-Winners, 8 celebrated scientists of Russia and over 350 doctorates and 700 candidates of sciences. 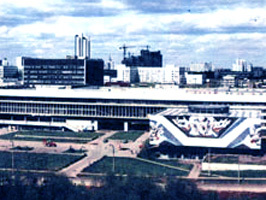 Today Russian State Medical University is a complex of buildings designed for practical classes, lectures, laboratory studies, library, research work, sport complex and auxiliary services and including a students’ township, located near the study buildings. It consists of four hotel-type buildings with a dining hall. All of the out-of-town students have been accommodated at the hostels. Students get medical assistance at a polyclinic staffed by doctors in all fields of medicine. The glorious past of the Russian State Medical University, deep pedagogical and scientific traditions, accumulated during over 100 years of its development, importance and urgency of medical science and practice, wide range of qualified specialists, trained in the University, - all this assure a leading role of RSMU. Contact jaayasdnbhd@yahoo.com for fee structure. Jaaya Axel is an university admission advisory. do your respected university offer opthomology and dentistry ? What is the grades required and the fees for a foreign student?? can i know how to do the admission and what is tthe qualification required? Please did you knows something regarding Europe connect??? i am already in a private university in Nigeria studying nursing, Can i continue from the 100 level i am in any Russian medical university after my first semester? i am a sri lankan student of 19 years old. i sat for A Levels on august, 2017. i got A pass for physics, B pass for biology and C pass for chemistry. i like to study in russia in english medium. but i need some financial aid, at least a partial schorlaship. my email address is "aushadi2014@gmail.com"
do u have post graduation program in specialization?.